How many makeup brushes do you have? Do you have some that came in a set, or some you have no idea what to do with them, yet you do not have the heart to get rid of them? Having the right tools is half the battle – you also need to know how to use them properly. There are so many options saturating the market, so it is easy to get overwhelmed. 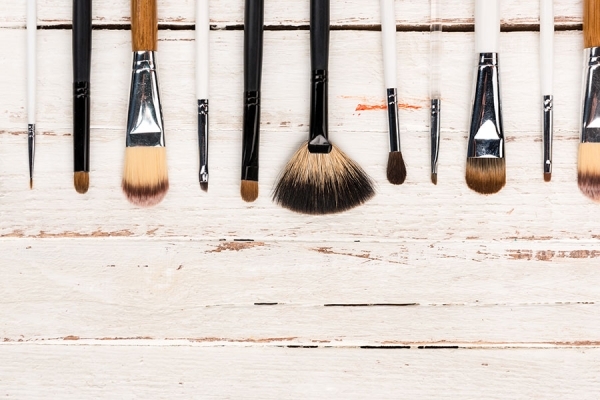 This edition of Beauty Blueprint will simplify the basics of brushes and, essentially, answer this million dollar question: How do you know which tool to choose based on product type and facial feature? There are three types of brush fibers: synthetic, natural, and dual-fiber. Each one is traditionally used for a specific makeup formula, but can be multi-use tools depending on the desired result. Synthetic fibers include taklon, nylon and other manufactured materials. They are designed with a sleek finish, making them the desirable choice for cream and liquid products. Wetting these types of brushes intensifies the application and deposits most of the product on the skin. Natural fibers are made from animal hairs ranging from squirrel, badger, kolinsky, weasel, sable, pony, and goat. Because natural hairs have a porous texture, they are ideal for powder products. You can use them for creams, but some of the product will be absorbed by the fibers, resulting in a more sheer finish. Dual-fiber brushes have a mixture of synthetic and natural hair fibers, usually easy to spot by the distinct black and white bristles. They provide the best of both worlds, ideal for everything ranging from liquid to powder, providing a medium coverage. If you are applying makeup on a detailed area of the face, like the eyes, nose, lips, eyebrows, high points of cheekbones, and so on, you want to use a smaller brush to ensure placement accuracy and reduce fallout. If you are working on a larger surface area, like the forehead, cheeks, chin, or neck, use a larger brush to get the job done more efficiently. In a nutshell, choose the tool size that is appropriate for the feature you’re focusing on. The more densely-packed the brush, the more coverage it will apply, regardless if it is large or small. When the brush is sparser with long bristles, the application will be more sheer and ideal for blending. If you’re applying black eyeshadow and want it to be less intense, use a fluffier brush. If you want to load up the color, use a compact synthetic fiber brush for maximum impact. Also, keep in mind that wherever you place the brush down first will have the most intensity, so apply product tactfully. If you’re going for a blended and diffused look, use a round brush with a domed edge. Circular movements and back and forth swishing motions are recommend to get the best results. However, if your goal is to draw a straight line, for eyeliner, eyebrows, contour, and lips then you should choose a firm, densely packed brush with a straight edge. To achieve sharp lines, pack the product onto the skin in a stamping motion with mild pressure. Manufacturers sometimes put a generic label on tools to help consumers understand what it should be used for – foundation, concealer, powder, eyeliner, eyeshadow brush, and so forth. Do not limit yourself to the same four brushes on a daily basis. You should feel empowered to embrace other tools that can help sculpt multiple facial features, like a fan, angle, oval, or stippling brush, or a spoolie. When in doubt, use the finger brush. 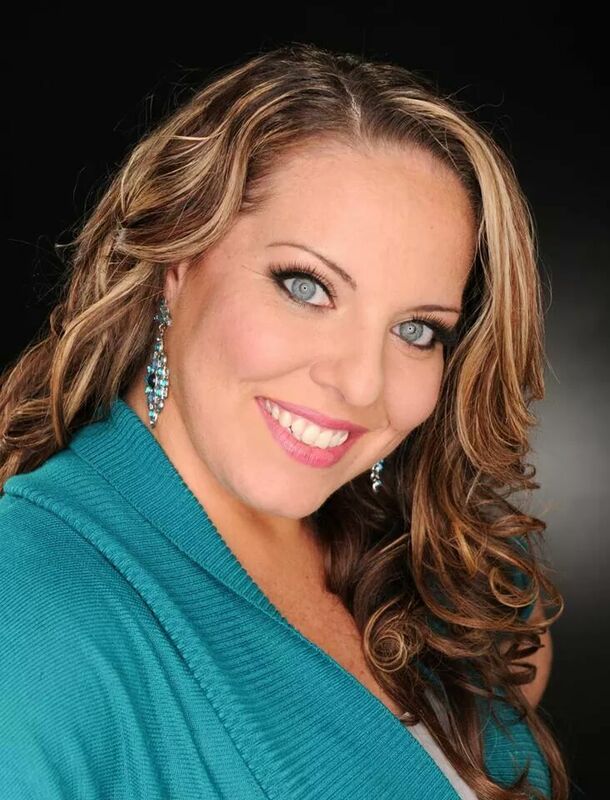 Amanda Azar, LME is a published makeup artist, medical aesthetician, and body wrapper based in south Florida. She is the founder and executive artist of Azar Beauty, makeup artistry instructor at Cortiva Institute, and lead artist for NewsmaxTV, Pelican Grand’s Pure Spa, and St. Andrews Country Club. Azar has a degree in business management from Florida Atlantic University, diplomas in fashion makeup from Cosmix School of Makeup Artistry and Paramedical Aesthetics from Southeastern College, is dual licensed, and holds over 40 certifications. Azar is a member of the National Association of Professional Businesswomen, National Aesthetic Spa Network, Look Good Feel Better, and a RAW Artist alumni.